Awaken to the wisdom of Feng Shui. Find joy and fulfillment. Marina Lighthouse has traveled the globe administering the benefits of the ancient art of Feng Shui. Find your Monthly and Daily Horoscope, The Flying Stars, your Chinese Zodiac Power Animal, and your Feng Shui Personality Profile. Discover the ancient Feng Shui methods to support, luck, happiness, prosperity, longevity, and wealth. Bring Harmony In Your Environment. 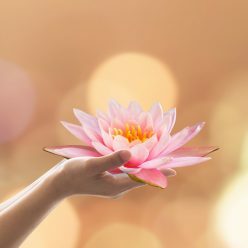 There are many different schools of Feng Shui, and because one’s environment significantly affects their well-being, all are concerned with the concentric interaction of physical surroundings such as buildings, trees, mountains, rivers, roads and so on. It is believed that all placement considerations, from the smallest decorative object up to the overall design of a structure or property, constitute its Feng Shui. 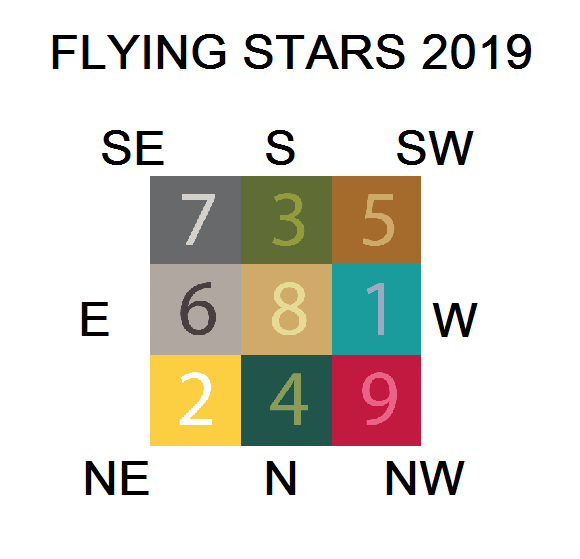 One popular method of Feng Shui is the Flying Star system, which represents the nine directions and the major stars that move in and out through these quadrants. This system was probably inspired by the constellation we call the Big Dipper. This particular method is called Flying Stars due to the constant motion directional impact of these energies. The Flying Stars are associated with the Compass School of Feng Shui. People that ascribe to this school look at the horoscope of a building. The method incorporates a building’s geographic positioning, cartographical direction, and chronologic age to create a Flying Star chart and numerological diagram. By analyzing the stars present in each the various directions one can designate in which quadrant Feng Shui appointments should be installed to reduce negative influences and to activate auspicious energies. It is okay to re-use items from a previous year’s Flying Star adjustments i.e. Foo Dogs, coins, etc. Check their condition and if you find them to be damaged you must replace them. However, there should be at least one new ingredient in your Flying Star recipe representing a new beginning a new year. New Year Paper Couplets must always be new. 2019 Favorable directions: East, North and Center. Unfavorable directions: Southeast, South, Southwest & Northeast. Mixture of Good and Bad: West and Northwest. WEST – Sector 1 (Water Element) Three killings, Peach Blossom. The Peach Blossom Star resides in the West this year. This star’s appearance highlights relationships and affects marriage, socializing, one’s popularity, event attendance, and going out on the town. In order to elevate your relationship, use bright colorful flowers here. To help you socially, add a water plant to this area. (No soil – only water.) In order to prevent your boyfriend from leaving you for someone else, to prevent third party interference place a Rooster here. Use the Power Blue Crystal to bring in more activity. Enhance this area by decorating with colorful flowers and the placement of the Pink Relationship Ducks. For those already married, or if third-party relationships are looming threateningly, you can block the star’s energy by using the Amber Crystal and decorate with the color yellow (Earth). Especially if your bedroom is in the west sector to block this disturbance. However, people in sales or communication don’t overdo it because it will cut off their Water Element with the Earth Element and cause blockage to their income. Three Killings effect the house luck and make weak, lose money, business blocks, sick or hurt, disputes appear here this year. It can bring misfortunes and obstacles to overcome. If doors open this way adjust with Hu Lu, dragon turtle or Qi Ling or you can use the area may be adjusted with a golden (or gold colored) metal object including Longevity Coins for Wealth. If your door opens to WEST do an adjustment, no electronics here. If your desk is in the west adjust by placing a cactus on your desk to stop backstabbers (use in office). WARNING: Do not renovate here without Feng Shui consultation. The Hungry Wolf Star is also here and can increase side money luck and peach blossom luck but this Hungry Wolf’s energy can go either way. NORTHEAST – Sector 2 (Earth Element) Sickness Star: This star’s existence in this area encompasses the negative effects of chronic disease, accidents, or the possibility of surgery. Proven methods for negating these are to donate blood and perform good deeds. Recommended adjustments to place in this sector are the Natural Gourd, which is known as a “Hu Lu“. In olden times, a “Hu Lu” was used to store medicinal herbs. Chinese deities (such as the Eight Immortals) were often portrayed carrying a gourd, in which they would capture and contain evil spirits. Or the special Longevity Money Coins .If your home, office or business door opens facing Northeast use the Power of Nine Crystal. Avoid using the colors yellow and red here. Don’t sit or lay down in the North East for extended time. You can also place a Pi Xiu facing this direction. SOUTH – Sector 3 (Wood Element) Argument – (aka the Dispute Star) will reside here this year. Its influence is characterized by disharmony in business or family relationships. Using the color red here will help to avoid arguments. You can use the a Red Crystal, Flying Star Good Fortune Red Nightlight ,Flying Star Natural Salt Nightlight, You can use a red light or if door opens to south use a red doormat. NORTH -Sector #4 (Wood Element) The Wisdom Star resides in the North this year to activate it, place four pieces of Bamboo in water. This area is an excellent place for studying because it favors academics. If your desk is in the North, that is perfect! For promotion or a raise, emphasize the color green or use the or Flying Star Green Crystal, or the Flying Star Calligraphers Brushes here. Families with children in school or college this is a smart area to adjust. SOUTHWEST – Sector 5 (Earth Element) Disaster Star aka Wu Huang or Five Yellow Star – This is considered the most malevolent and dangerous of the nine stars. It can bring misfortunes, accidents, loss, and death. Its presence indicates tragedy, sickness, calamities, and obstacles to overcome. Many will experience the effects by facing tough issues in health and relationships or encountering financial hardship. Install a Golden Pi Xiu, Brass Bell with Gold Cord Wind chime with crystal, Flying Star Six Coins, Brass Bell with Five Element Cord, Longevity Money Coins, Emperor’s Desk Bell or Brass Bell with Gold Cord in this sector. This is an inauspicious direction for renovation, so be sure to contact a Feng Shui consultant and receive a blessing ceremony before proceeding. If your house or main gate faces this direction, it is recommended to simply not do any renovations this year. Adjust this area and be conscious to avoid arguments, remain frugal, work diligently, and keep to your own business. Avoid using the colors yellow and red here. EAST – Sector 6 (Metal Element) Lucky Carriage Star: This is an auspicious direction; make adjustments here and concentrate on the intention of improving your career. You can use the Golden Money Ingot or Flying Star Six Coins, Brass Bell with Five Element Cord . Associated with good fortune and help from Heaven, this star brings luck as well as power and authority, fame, and reputation. Blue collar and uses your hands. One can also place a AB Crystal, Amber Crystal, here to attract better prospects. SOUTHEAST – Sector 7 – (Metal Element) The Broken Army Star signifies violence and bloodshed. It can also symbolize loss of family members, robbery, lawsuits, jail, or violence. If your home or business faces SOUTHEAST, your bed is in the SOUTHEAST, or your bedroom door opens towards the SOUTHEAST, hang a Blue Crystal, Blue Elephant and Rhino Charm or Feng Shui Flute. Do not place, or at least, minimally use moving objects or adjustments that create sound; i.e. wind chimes, radio, drum sets, or television. It is advised to move such items out of this sector. Avoid the color red here. CENTER – Sector 8 (Earth Element) Prosperity Star is in the Center. The 8th star means material gain, prosperity as a reward for work done. It is a very beneficial star. It brings good luck, good financial returns or an improvement in reputation. Do not block chi remove books and keep neat and tidy. Strengthen with color red and yellow. A Red Crystal, The Flying Star Six Coins, Brass Bell with Five Element Cord or 10 Money Coins -and or use movement like a fountain. NORTHWEST – Sector #9 (Fire Element) Happiness Star and Tai Sway (Grand Duke). The Happiness Star brings wonderful good fortune and excellent prospects for the future, and further benefits your marriage or other personal/business relationships. For more sweetness in your relationship or you can place 9 red roses. (with stem in vase with no thorns.) If you wish to get married or have a baby, adjust the northwest with objects that are red, pink, or place/hang a Red Crystal, rose quartz relationship ducks here. 12 Zodiac Wall Hanging, a red light such as the Flying Star Good Fortune Red Nightlight or Flying Star Natural Salt Nightlight would be a good adjustment here as well. The NW is the Tai Sway area for 2019 – avoid renovation here.